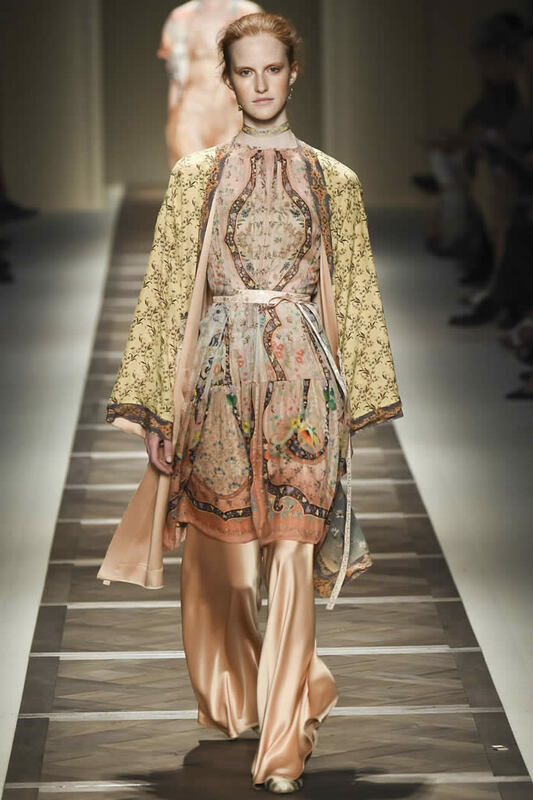 Few designers carry the mantle of a more specific archival aesthetic than Veronica Etro, and progression can prove challenging. 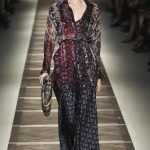 For spring, Etro forged ahead beautifully, with a lineup signature in its surface intricacy yet that still departed from the expected. 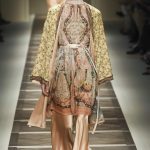 Etro said bye-bye (for now) to the obvious paisley, and instead integrated it into selections from a flower bower of 19th-century patterns, often in the beigey-light brown range suggestive of tender aging. 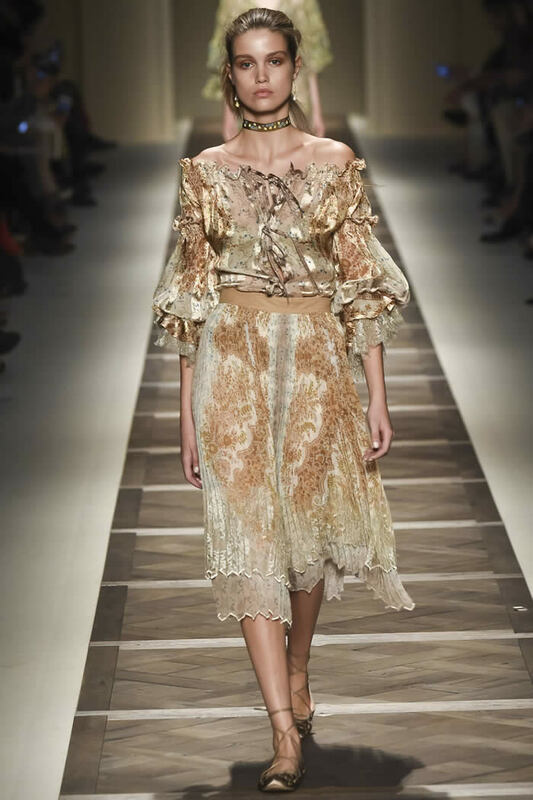 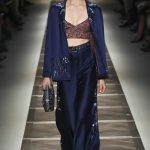 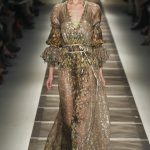 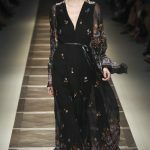 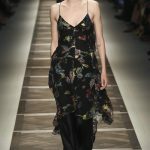 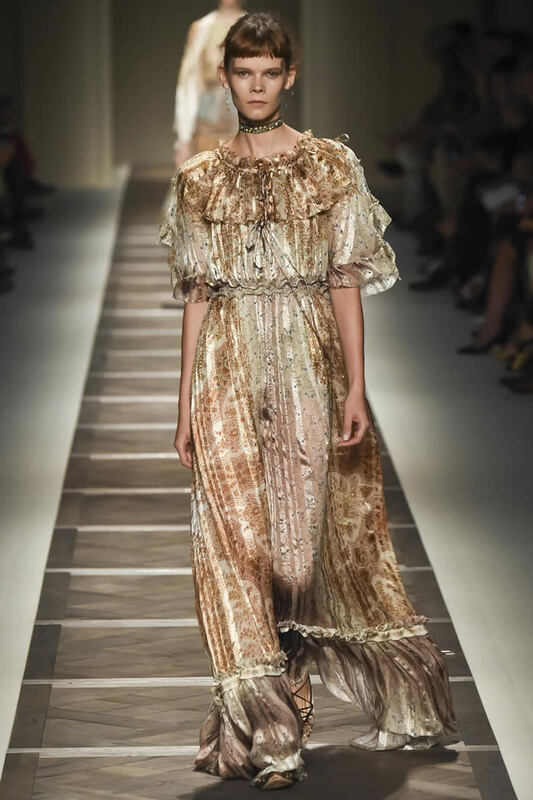 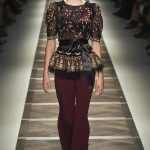 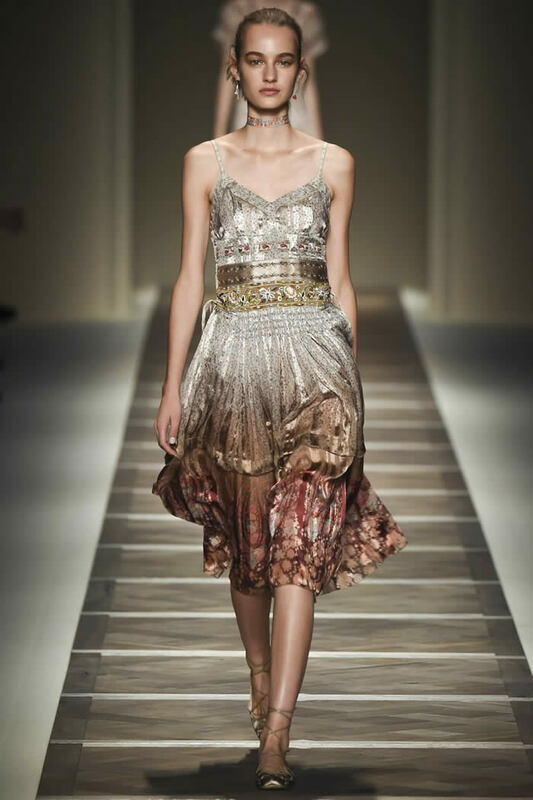 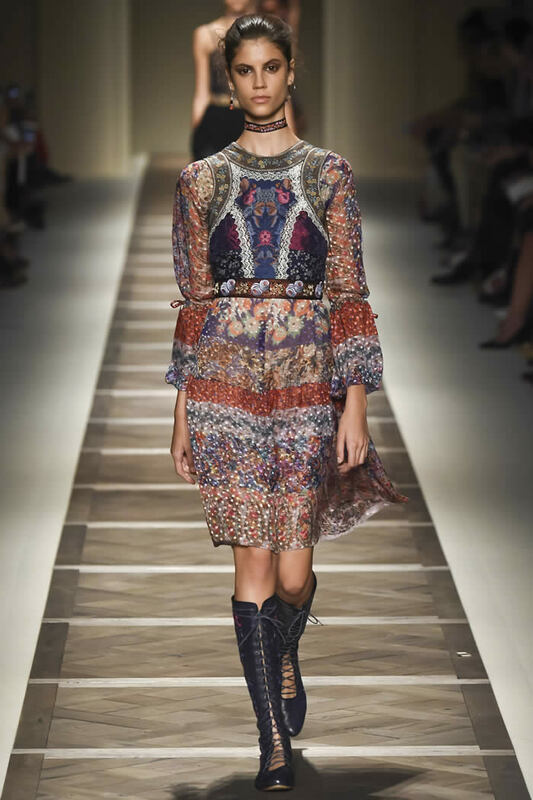 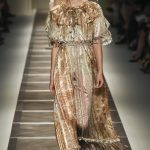 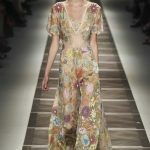 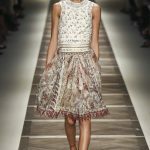 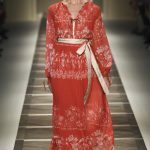 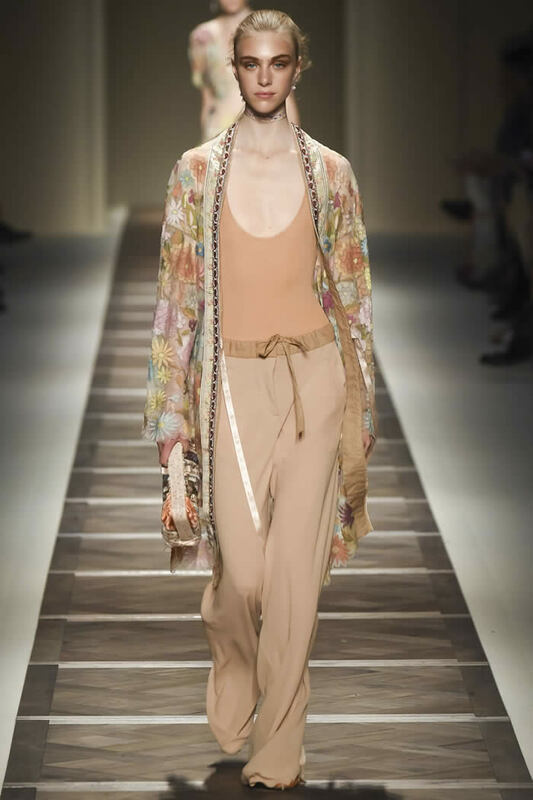 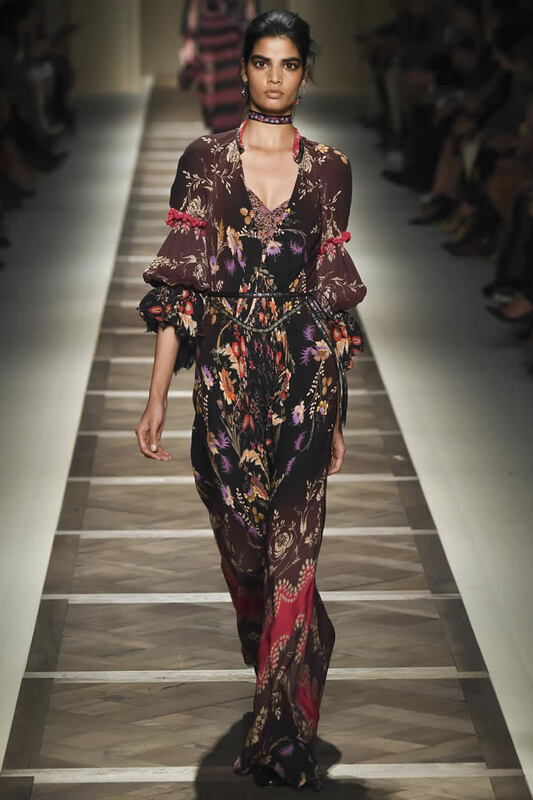 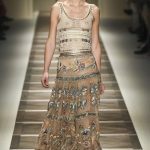 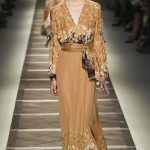 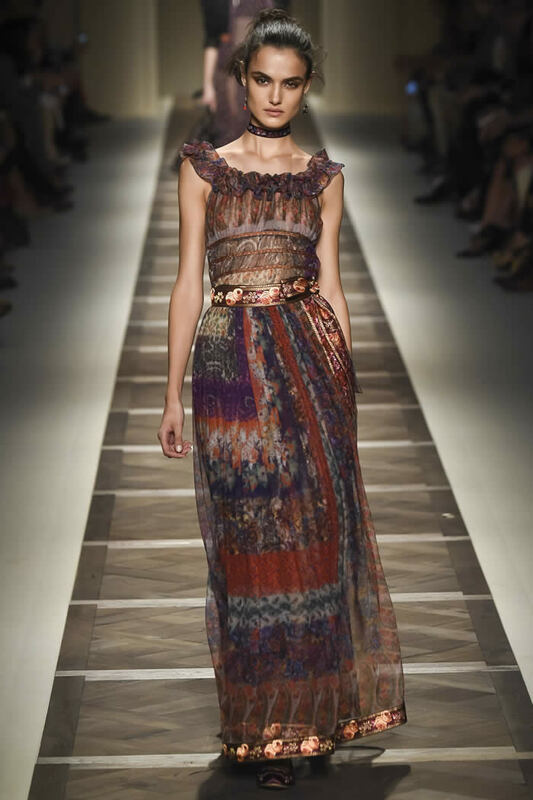 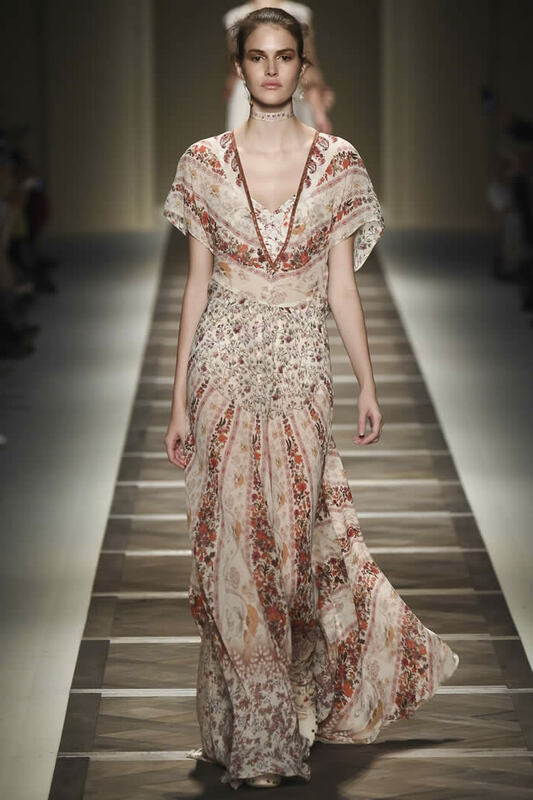 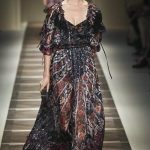 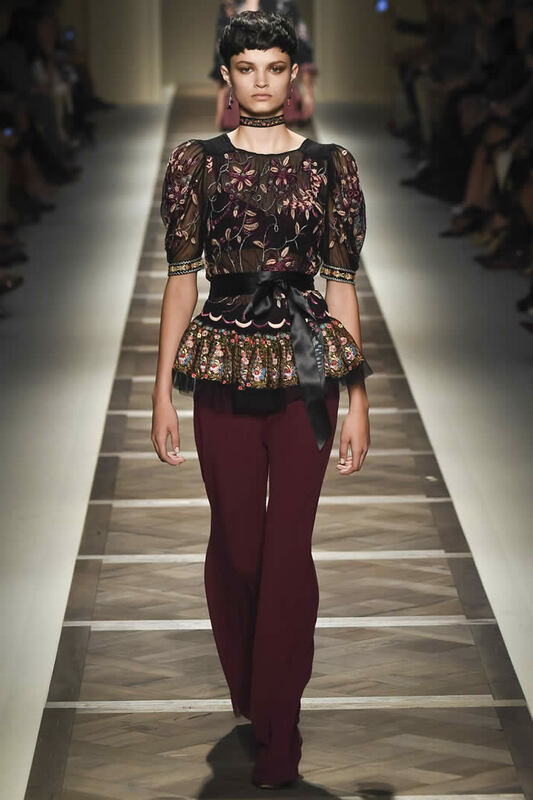 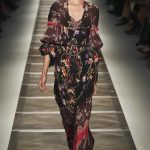 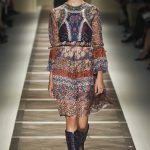 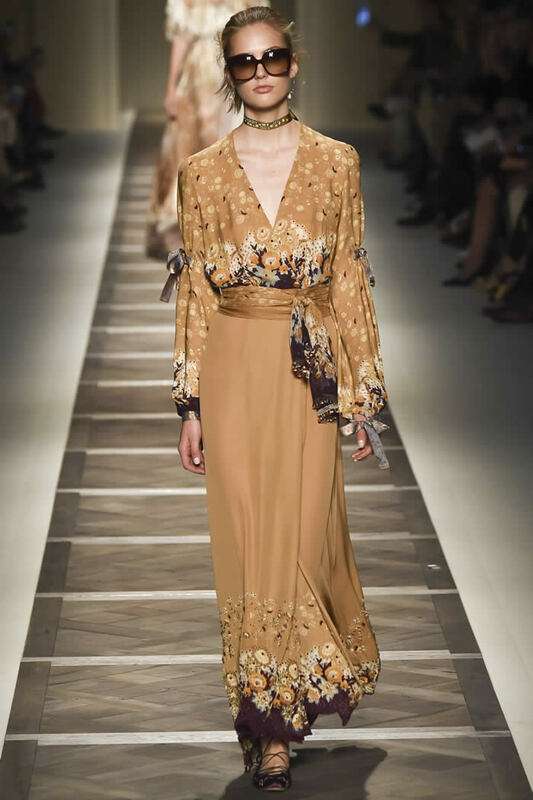 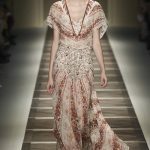 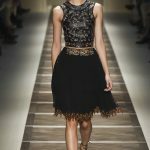 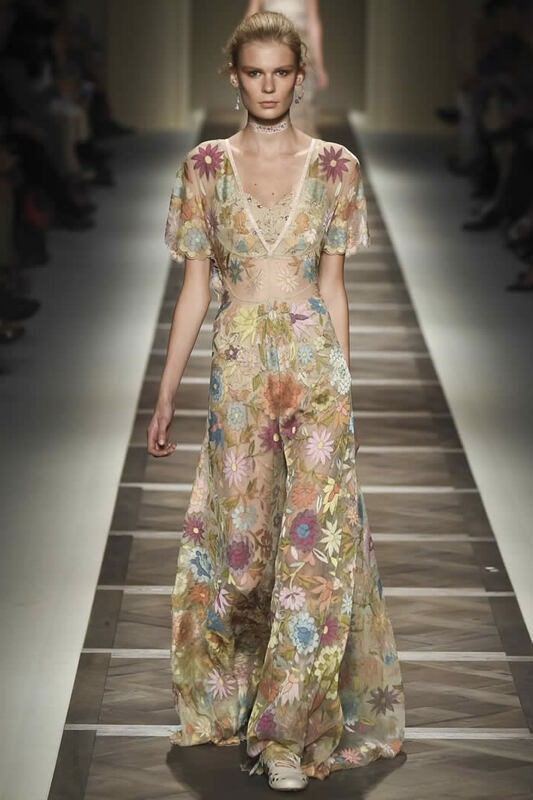 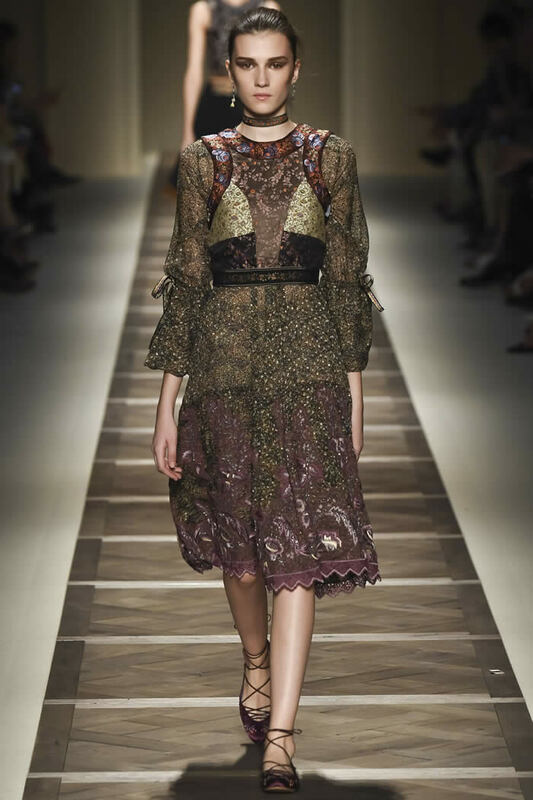 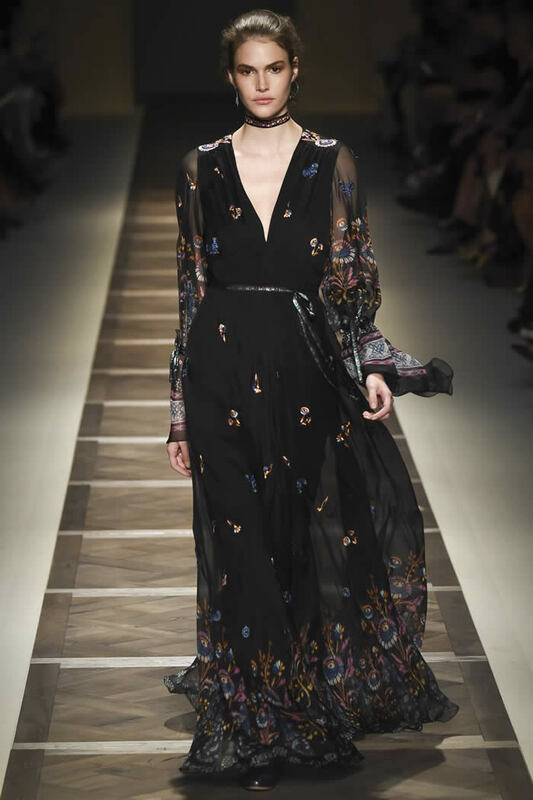 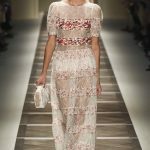 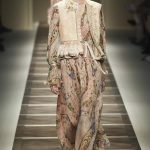 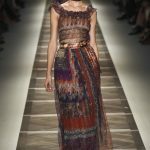 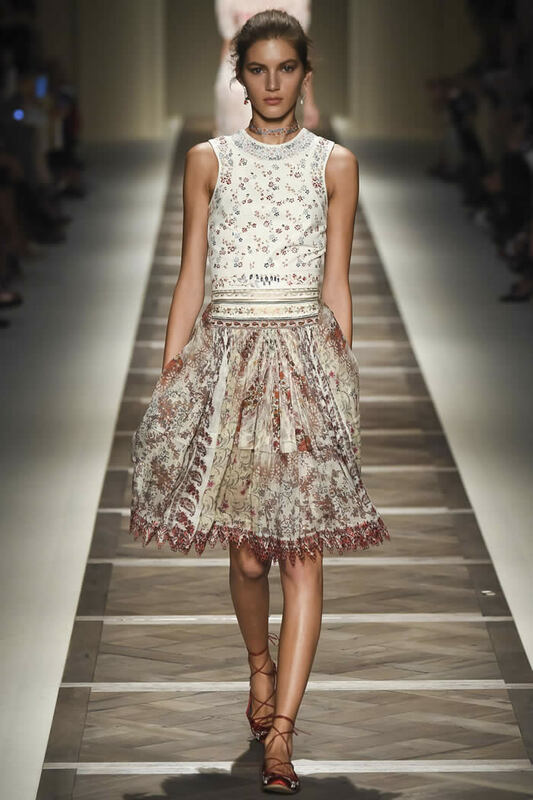 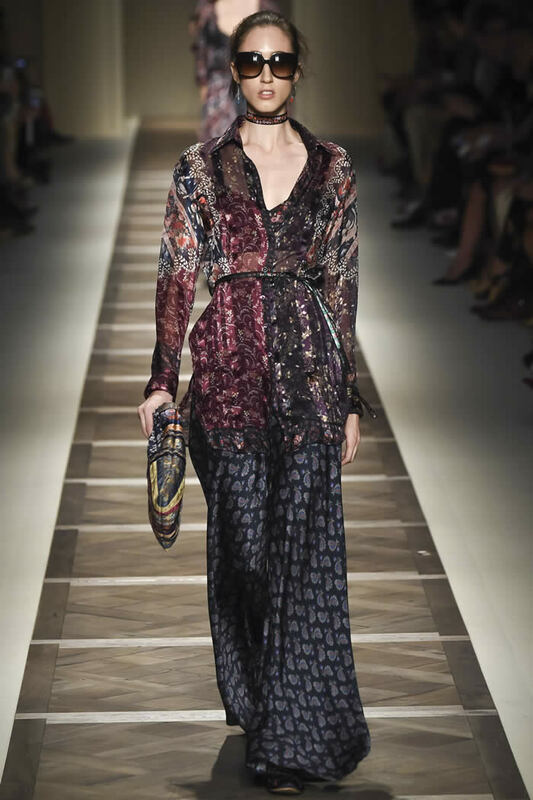 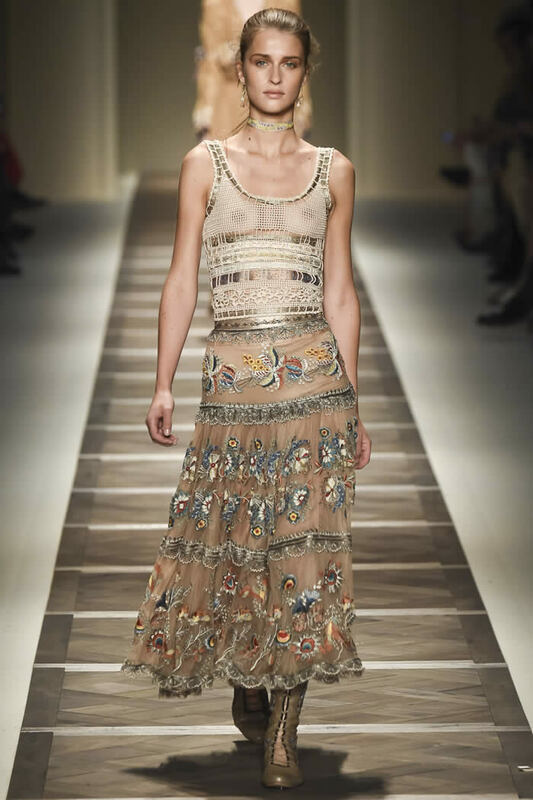 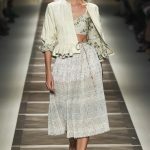 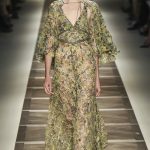 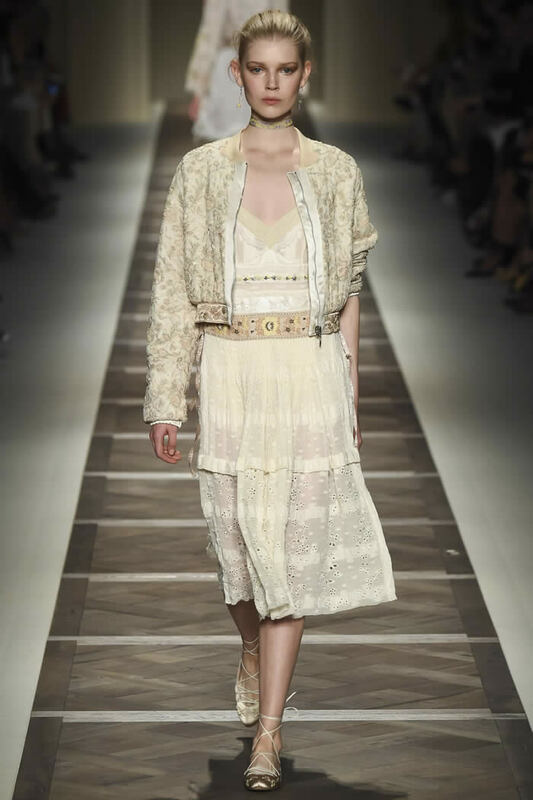 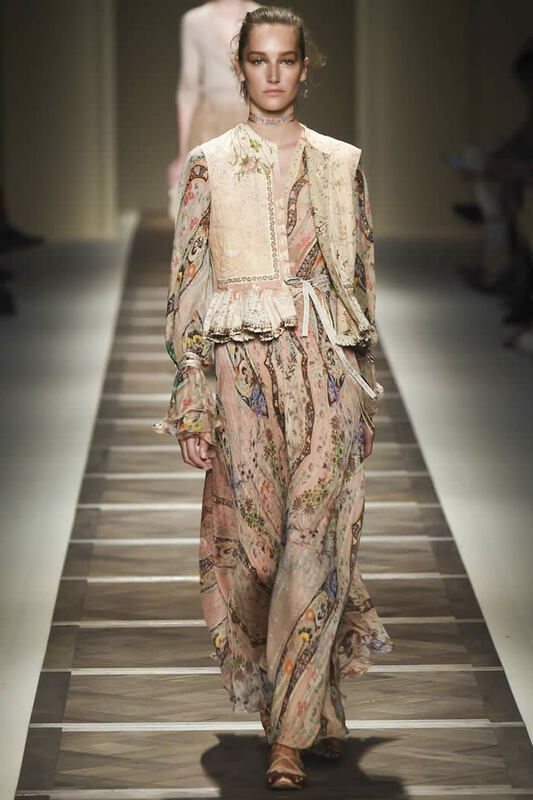 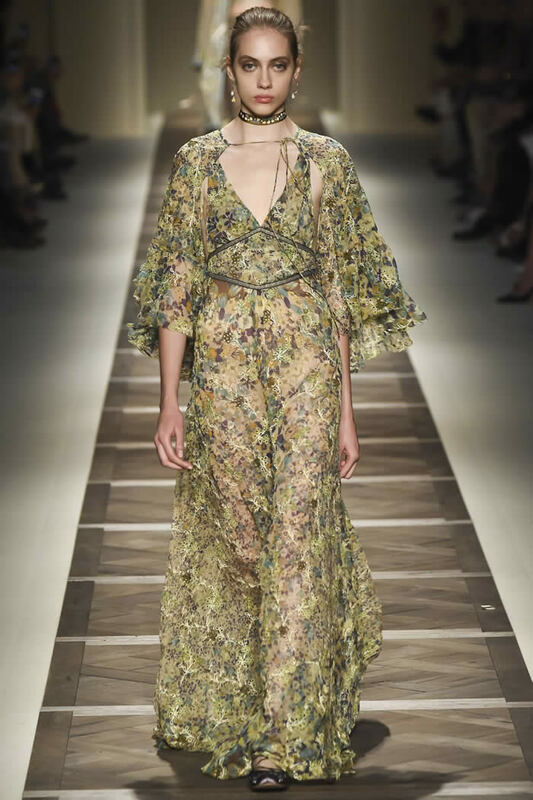 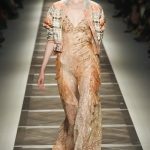 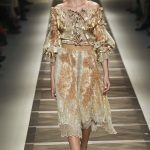 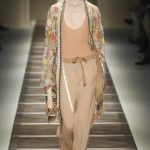 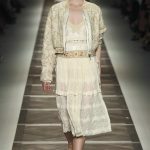 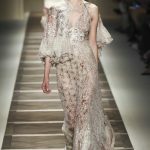 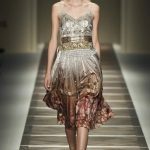 Throughout, there was a nostalgic aura in play; Etro took cues from early 20th-century techniques - lace and ribbon work, ruching, haberdashery details - ntegrating them in countless ways. 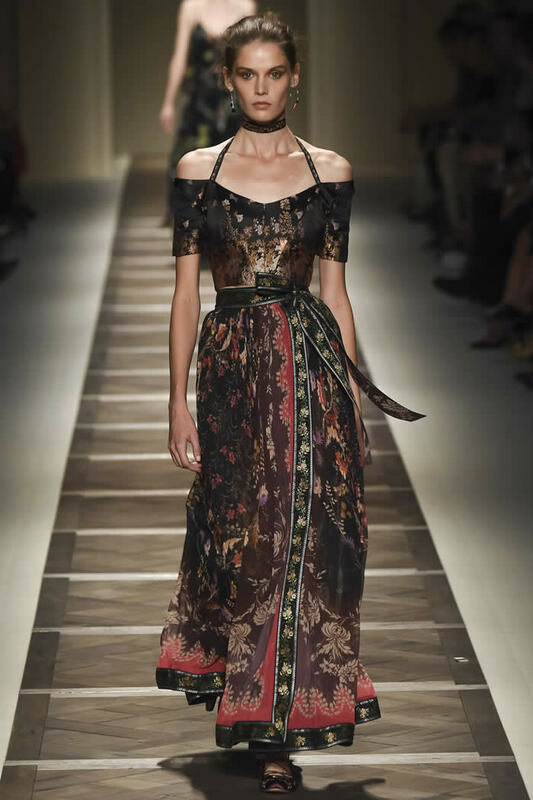 Ribbon bands secured the waist of a dress and vibrant embroidered flowers spilled down a sleeve. 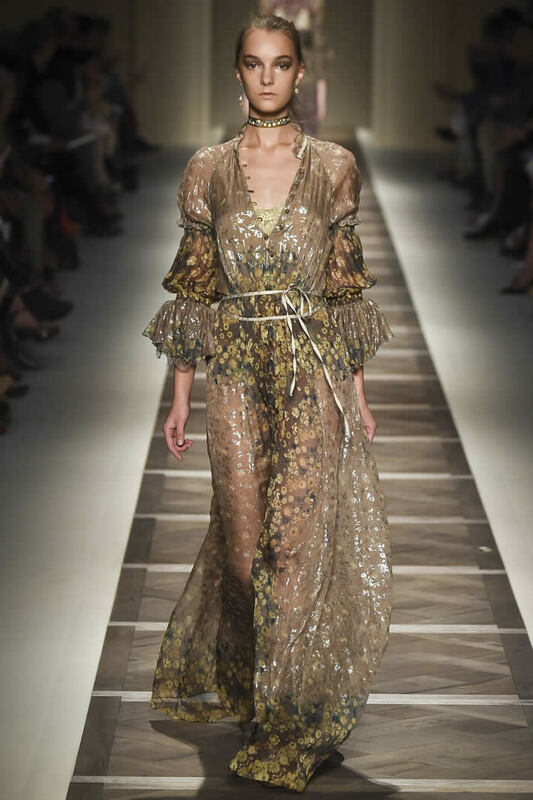 Beautifully executed, these heightened the collection’s luxe factor. 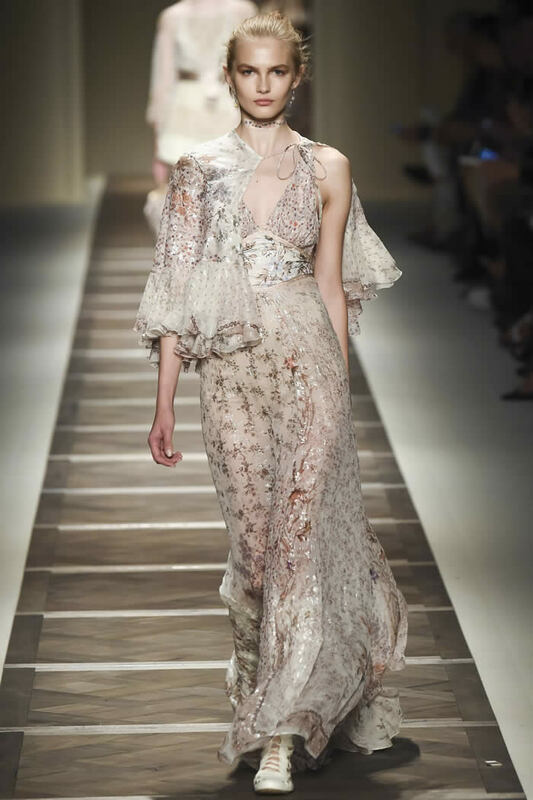 “I felt strongly about giving the sense of lightness, movement,” the designer said backstage. 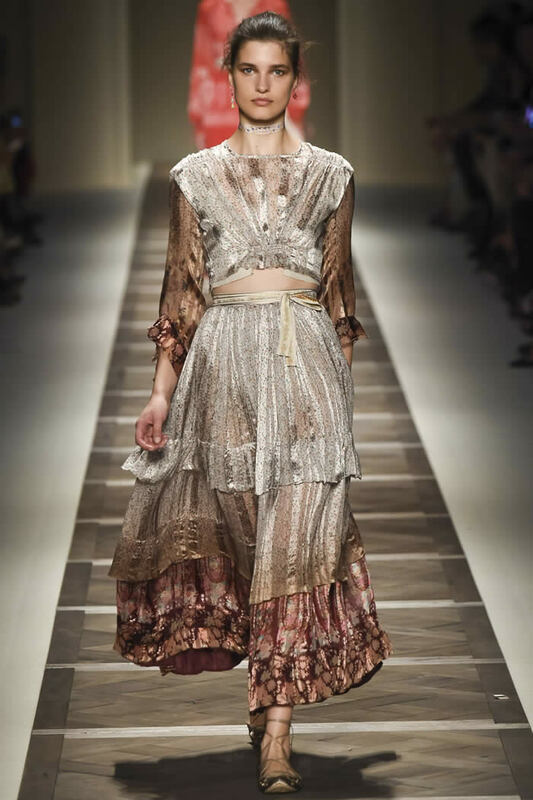 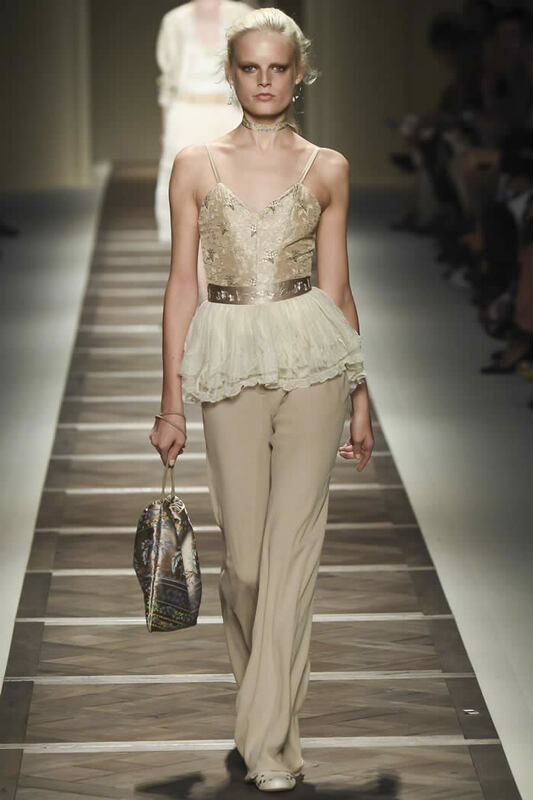 To that end, the collection had plenty of flou, froth and a touch of the gypsy. 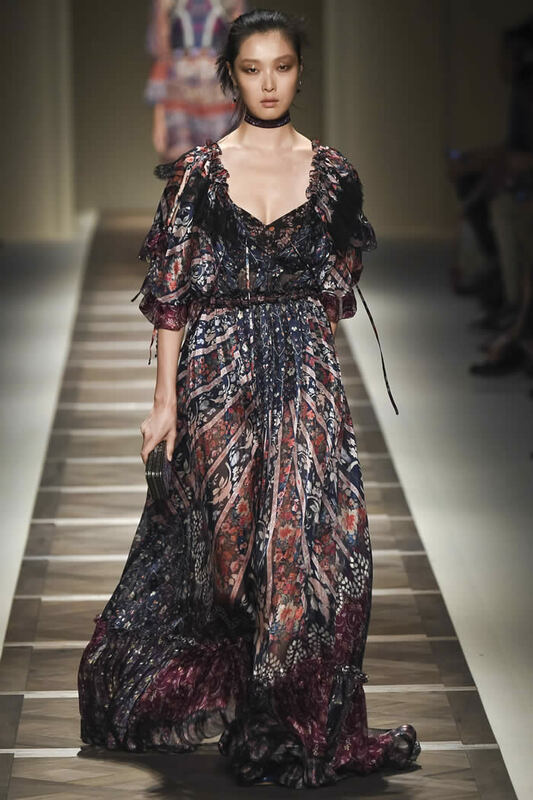 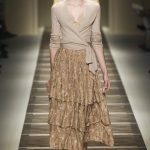 It also referenced ballet in wrap sweaters and a pair of soft-skirted, would-be tutus shown over pants, lest they fall into a mood Etro rejects - weet. 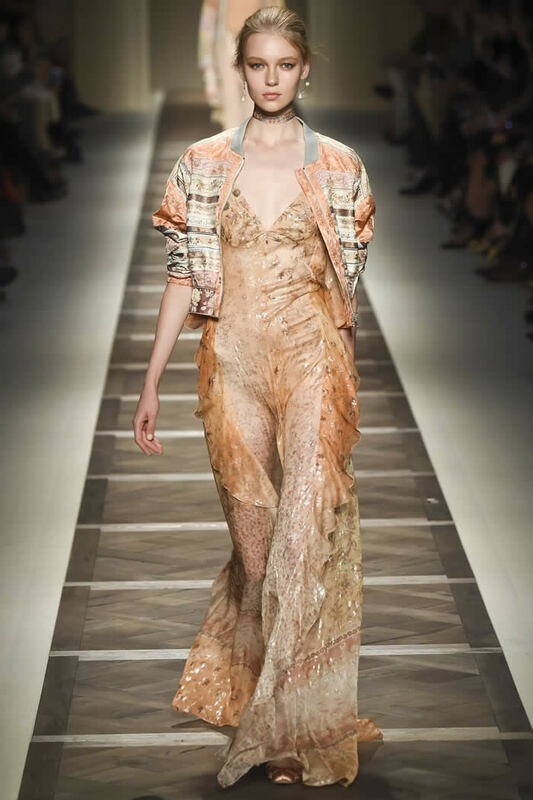 Given that, she worked in sports references and injected the evening-oriented lineup with languid tailoring. 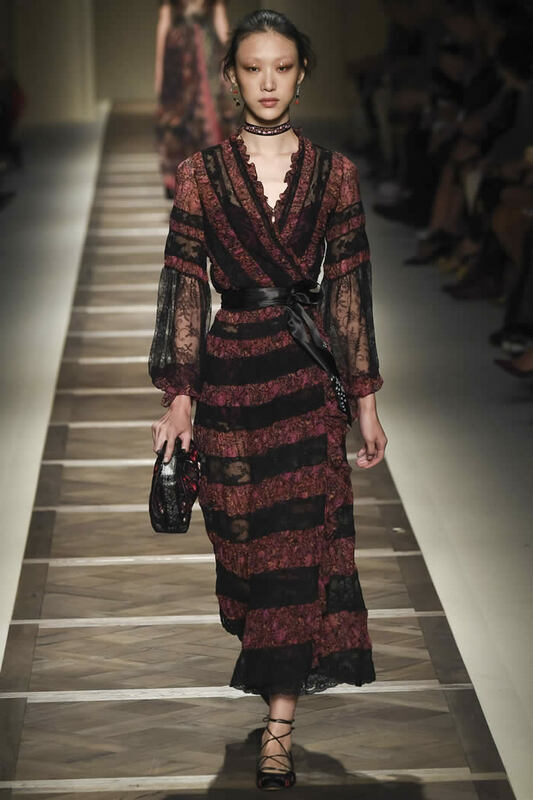 It all came with a moody undercurrent that intrigued. 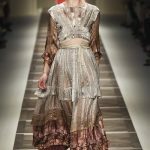 These women have a backstory - an interesting one.